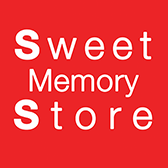 Sweet Memory Store is based in Phnom Penh, Cambodia. Our store sells memory cards for digital photo and video cameras, and gadgets. Established in 2012, our main focus and passion is great quality products, a category that is sandwiched by premium and low quality. Philosophy: not only selling great products, but also love the products we sell. We’re inspired by the belief of carpenter-turned-toymaker, who founded the LEGO Company: “Only the Best is Good Enough”.